Quality of a stone determines the Quality of stonework. 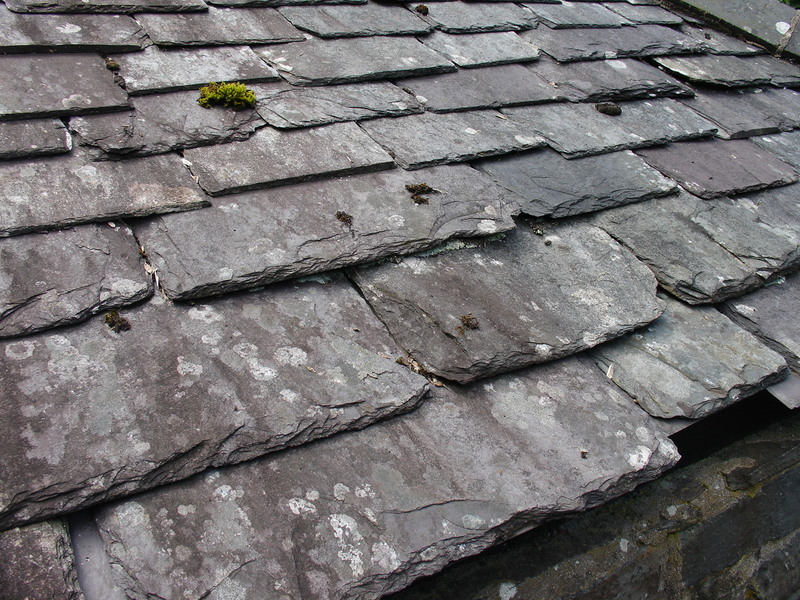 Other factors include quarrying method, seasoning, dressing technique, and masonry or cladding style. The important properties of building stones are: durability, hardness, toughness, porosity and strength under various types of stresses. The structural properties are, mainly governed by: the class of stone (sedimentary, calcareous, igneous, etc. ), mode of occurrence (surface, shallow depth, very deep mines), type and condition of the rocks (horizontal or inclined mass). The structural properties do get substantially altered by the subsequent handling of stones, such as: exposure, action of environmental factors (moisture, salt, contaminants, temperature) mechanical pressure, vibration, etc. Most of the stone materials are extracted from a depth. Such materials have remained buried under heavy over loads, devoid of oxygen and other gases, and free of moisture, or with entrapped moisture or flooded in subsoil water, and without light or radiation exposure, possibly since their age of formation. On extraction the stone material is brought to a completely different environment. Mineral lattices begin to alter due to lessening of pressure and dehydration. Entrapped gases escape and the space begins to get filled in with moisture and atmospheric gases. In sedimentary deposits the excess moisture begins to escape, allowing minerals react, causing expansion or contraction stresses in the mass. Rain water which is slightly an acidic one causes calcium carbonate to change into bicarbonate. In industrial areas sulphur and carbon dioxide enhance the acid action on the freshly quarried stone. Chlorides on sea front and in industrial areas can get converted into weak hydrochloric acid and dissolve the carbonate rocks. Nitric acid produced from oxide or Nitrogen also corrodes stone faces. All corrosive mediums depend on supply of water or moisture, so care of fresh-cut stone is essentially a moisture management exercise. 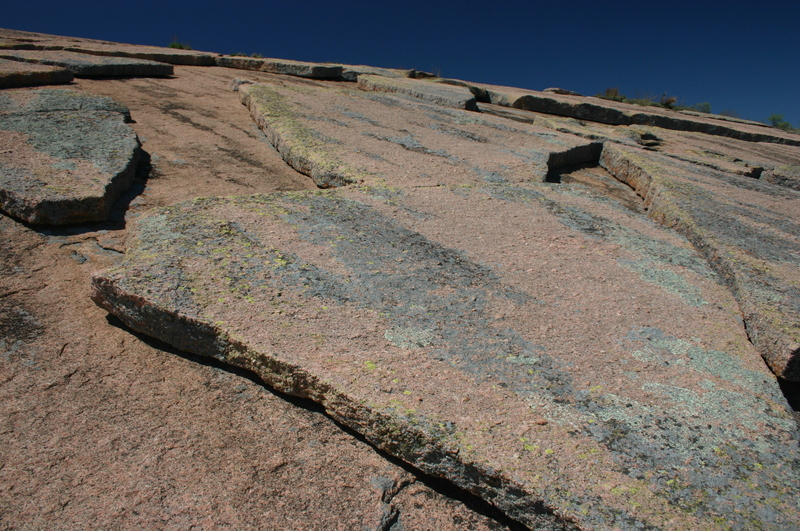 Freshly quarried and exposed stones are affected by: 1 Temperature variations cause differential expansion and contraction of the mass causing cracking or splitting. 2 Wetting and drying cycles of rain or dew, and frost may disintegrate the stone. Other moisture associated, problems are of living organisms that flourish in wet grounds. 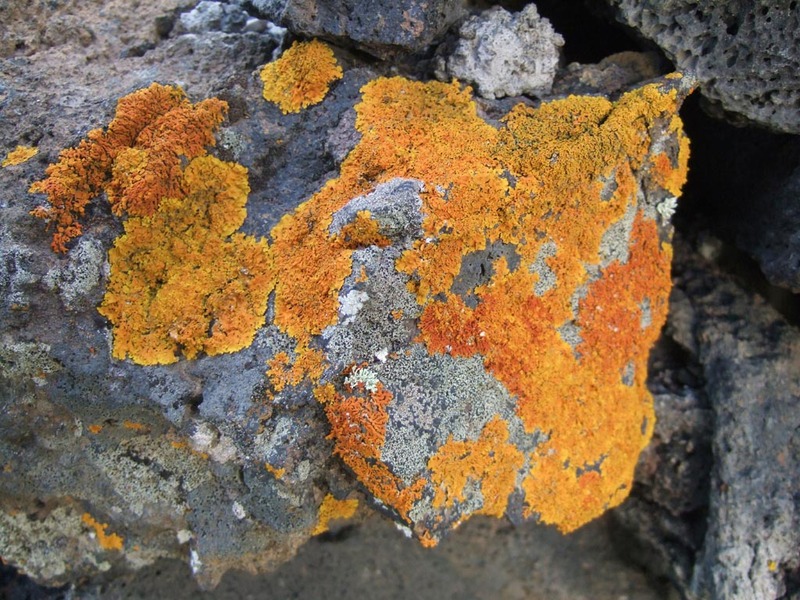 Stones stored here are affected by algae, lichens destroy lime stones, and worms destroy all stones except granite. Vegetation growth is a problem in tropics and heavy rainfall areas. 3 Polluted atmosphere around cutting centres (industrial areas, dumping sites and sea shores) affects the surface quality. 4 Stones need to be stored in same position as they were in natural state. Layered stones such as sedimentary rocks must never be stored in vertical position before sufficient seasoning. Seasoning is both drying and wetting cycles on one hand, and airing of stone, on the other hand. There is an increase in strength due to the re-deposition of percolated minerals, surface carbonation, transmission and deposition of minerals on the surface of a stone, by both the evaporating moisture, and addition of water. Dehydration, during seasoning, is more or less an irreversible process, Seasoning applies mainly to soft limestone; hard limestones seem to be less affected by it. Stones have natural moisture, known as quarry sap. 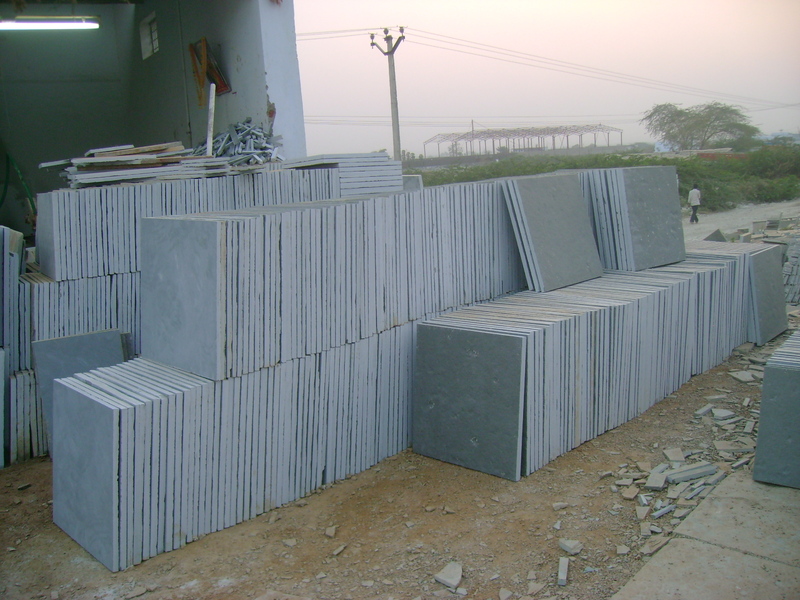 This quarry sap renders the stone blocks comparatively soft and makes them easily workable. Immediately after quarrying, a stone is soft and it is easy to work with it so sized and primarily dressed, but polishing requires a fully seasoned and hardened stone. Weathering denotes both desirable and undesirable changes. It is concurrent process of seasoning. It enhances certain qualities, like colour, texture, strength, etc. and reveals micro fissures deep pores on the surface. Weathering is very effective for Lime-based stones, which absorb atmospheric Carbon-dioxide to produce hardened mass. 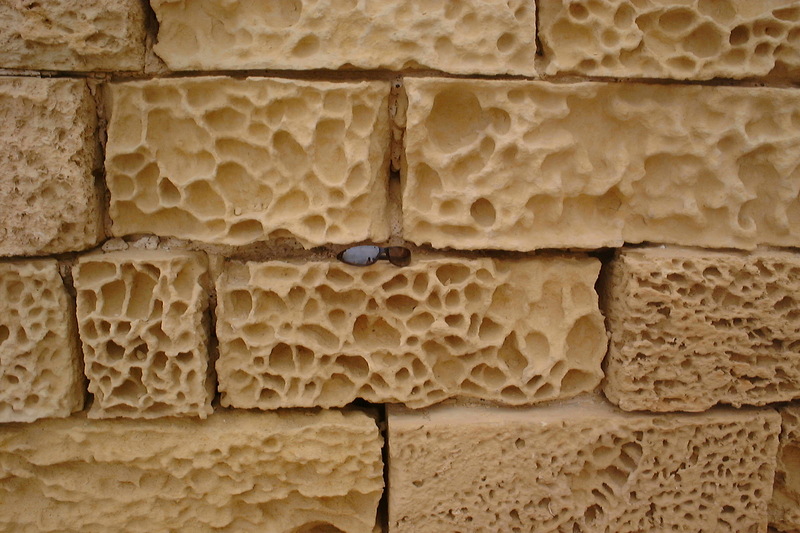 Porosity has no direct relation to the weathering resistance of stone materials, such as limestone. It is the shape, size, depth, and nature of pores, that plays an important role in weathering. The action of carbonic acid, increases with greater micro-porosity, capillaries prolong the dissolving action because the water is retained longer in small cavities. Sandstones containing colloidal minerals as a cementing medium has the most pronounced expansion due to porosity. ● Boulders are pieces of stones of various compositions buffeted by movements of snow glaciers, river floods or ocean waves and storms. Boulders are of tougher mineral compositions, because natural sorting has taken place. Only the strong and stable stones have survived periods of transportation and rolling which may have taken millions of years. ● Flat boulders occur on weathering of stratified rocks. Boulders are found not only on river beds and ocean beaches but also on mountain or hill tops and at places with no apparent riverine flows. This is so because, earthquakes and movement of plates displace such deposits, as in case of Tehri Gadhwal (Himalayan range, India) regions. 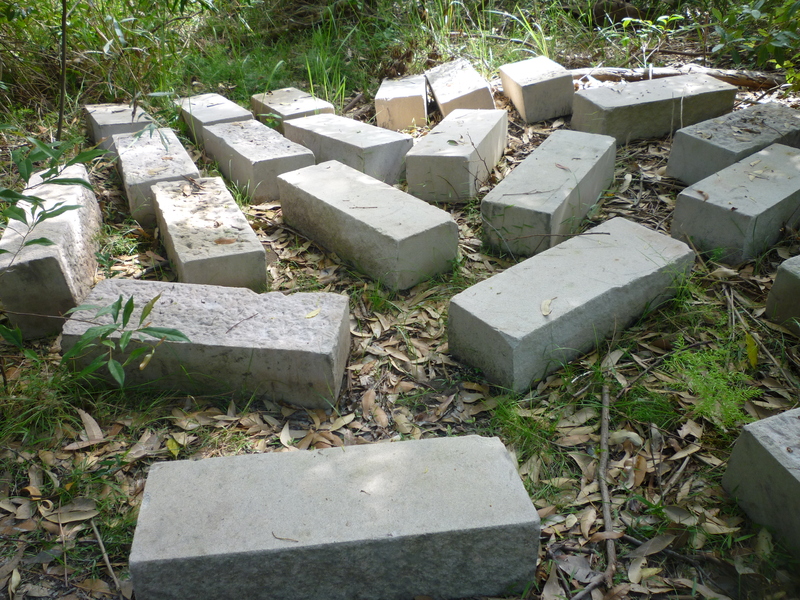 People have been using such stones without any further cutting or dressing for constructing buildings with catastrophic results during earthquakes (e.g. Tehri Gadhwal, Latur in Maharashtra, India). Boulders are rounded shape and have smooth surfaces. In a masonry wall composed of boulders, it is not possible to ʽbreak the jointʼ or ʽcourseʼ the masonry. Walls are usually very thick, minimum being 400mm wide. Entire masonry structure, like a fluid mass, remains unstable. During earthquakes due to lateral movements, corners are displaced, and boulders fall off destroying the structure. Since walls of boulders are thick and seemingly solid, people have a tendency to place equally heavy roof structures on them, another cause for a heavy death toll during earthquakes. Boulders have been used as cobble stone for paving of courtyards, walkways and roads. Boulders are also used for lining of canals, waterways (though not very efficient from a hydraulics point of view), land slopes etc. Boulders are also used for garden decoration and as landscaping features. ● Pebbles are similar to boulders in formation and characteristics but of smaller size. Pebbles are used for lining with or without cementing materials, courtyards, parks, walkways, ponds etc. Pebbles are broken to form aggregates for road building and cement concrete works. ● Gravels are finer then pebbles (also formed by natural processes) are used as fillers and decorative aggregates for plasters. Gravels are also used for packing tube well bores and as a filtering media. Gravels are crushed to form high shearing sands with granular faces. ● Weathered sands are mostly composed of quartz with feldspar, mica, garnet, zircon and magnetite. A sand deposit is composed of particles of different sizes and shapes such as rounded, sub angular or angular. Most sands contain small to substantial amounts of clay particles. Sharp angular sand is more suitable for concrete work. A coarse and well-graded sand gives a better mortar. Fine sand is better for filling and reducing plasticity of soils like black cotton soils. Garden soil or river `Kanp‘ is a conglomerate of fine sand, silt and decomposed organic waste. Boulders, pebbles, sands and clay type of materials are available mainly from surface or low depth excavations. Bedded (stratified) deposits, usually of the sedimentary variety, are next in importance for ease of extraction, although the efficiency of extraction depends on the tools available. These deposits have many advantages over boulder deposits, as size and shapes can be predetermined and formed as required during the extraction. Slabbed deposits with layers between 60 to 80 mm are the easiest to extract, and shape. Thicker layers are usually subdivided with pneumatic tools and wedges or with cutting and sawing machines Bedded deposits of suitable thickness do not require horizontal cutting, as the blocks can be lifted at the bedding plane, thus saving much time and hard work.